Dangers of Texing While Driving. a Must See! Education > Dangers of Texing While Driving. a Must See! 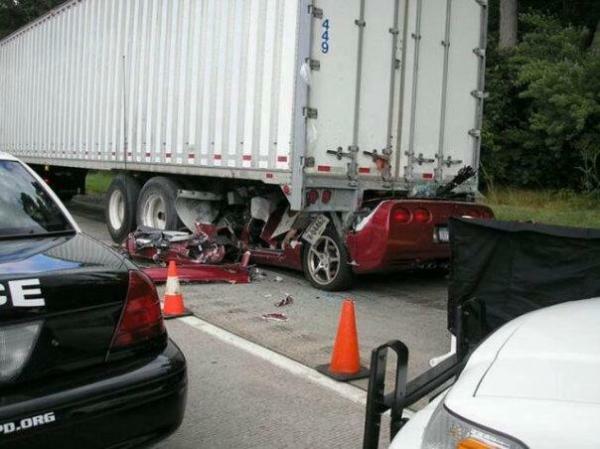 This guy was texting while driving....they found the phone still in his hand. They found his head in the back seat. Make sure all the young people you know see this. I've nothing against anyone who buys a vet (I love those cars) but anyone who texts while driving is an idiot. It is as simple as that. This was an adult which makes them a stupid idiot. Teenagers are dumb because their brains haven't fully developed, an adult should know better. Wow! I don't think the sort of people who text while driving have the ability to comprehend the risk. Ignorance to the point of death, a senseless death at that.